All the possession but no goals. 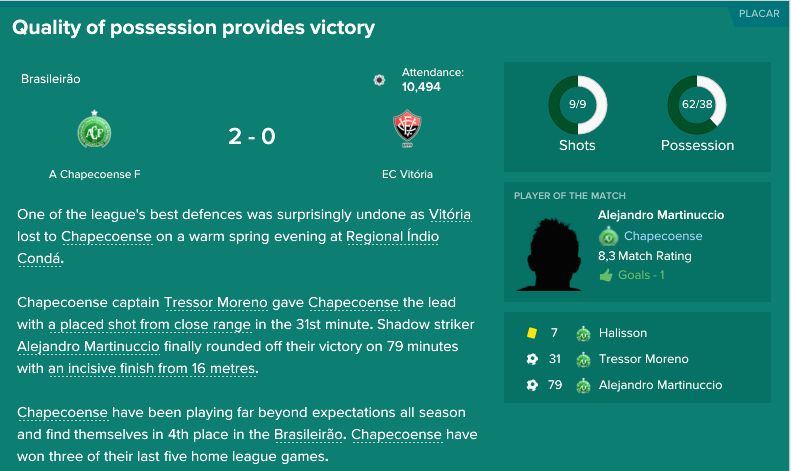 Thoroughly deserved this win. Played them off the park. You win some, you lose some. Gained a point. Held to a point by a side that are struggling in the league. Hoping if we can generate some cash, we can go after Lincoln from them. 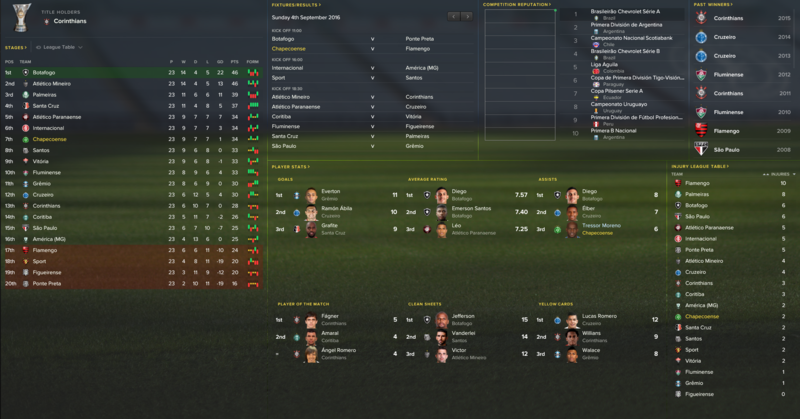 Would love a Continental Cup run! First leg was ours. 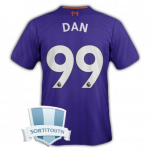 Be rude not to sign off with a win and a goalkeeper winning man of the match. The lay of the land, bit of momentum can do wonders for the side. 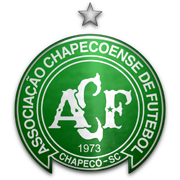 The fear is, we are not that far off from the relegation zone ... closer to that than the top. 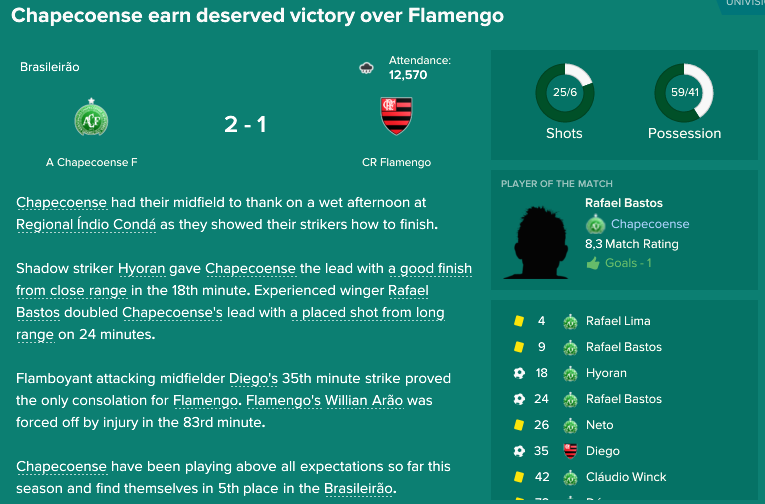 Dominant performance against a struggling Flamengo. Unfortunately it looks like we are going to loose Rafael Bastos at the end of the year as we can't afford to pay what he wants. 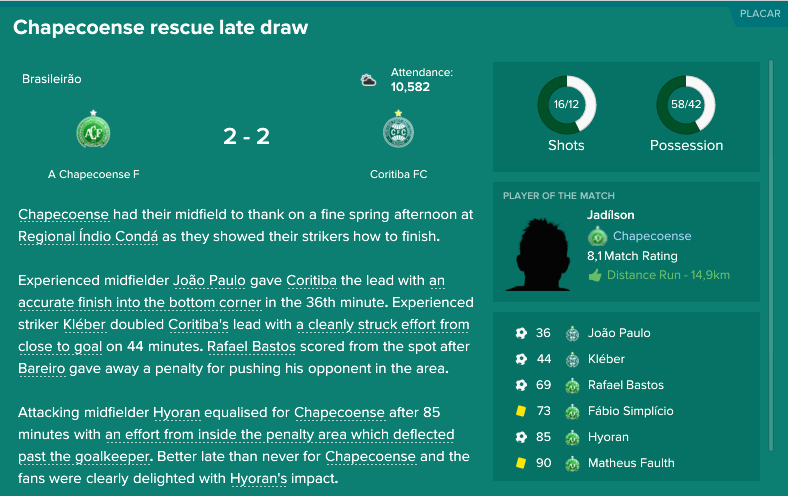 I would take a draw away at Cruzeiro, but it's disappointing to drop a 2-0 lead. 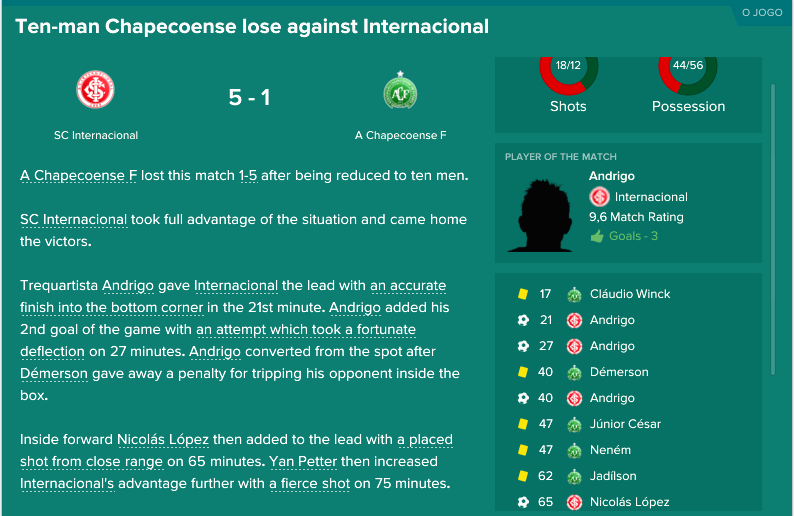 Played a rotated side in the second leg of the cup. Over all a poor match, but I don't really care. 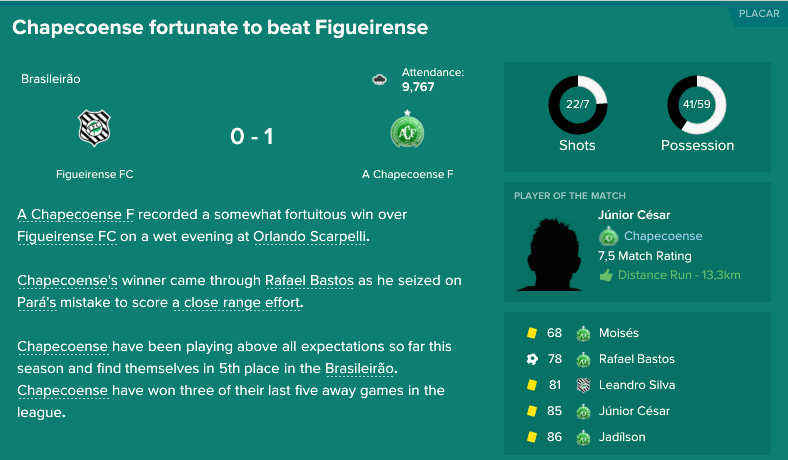 Great but unconvincing win over rivals Figueirense, a team we have had a bit of a problem with. 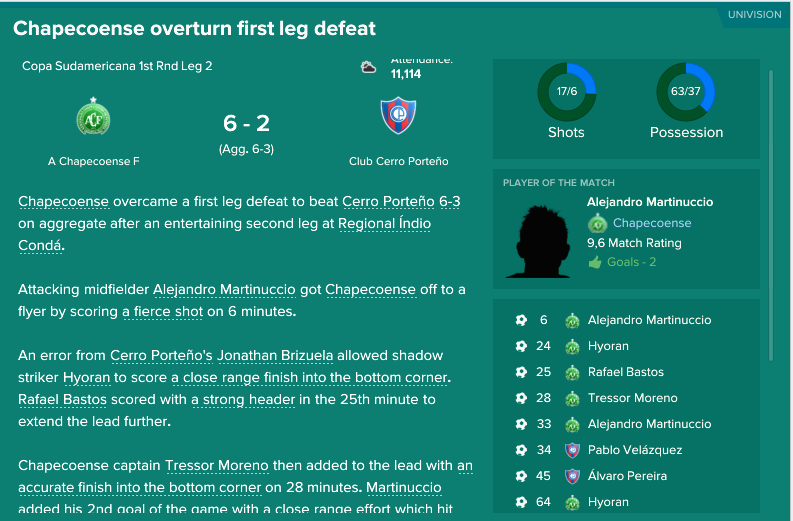 A tough game away to Cerro Proteño in Paraguay. This is still a very winable tie. Down to 10 men with more than an hour to play. Then I'll guess one point is decent. Tried a slighly changed formation, and the team responded fine to it. 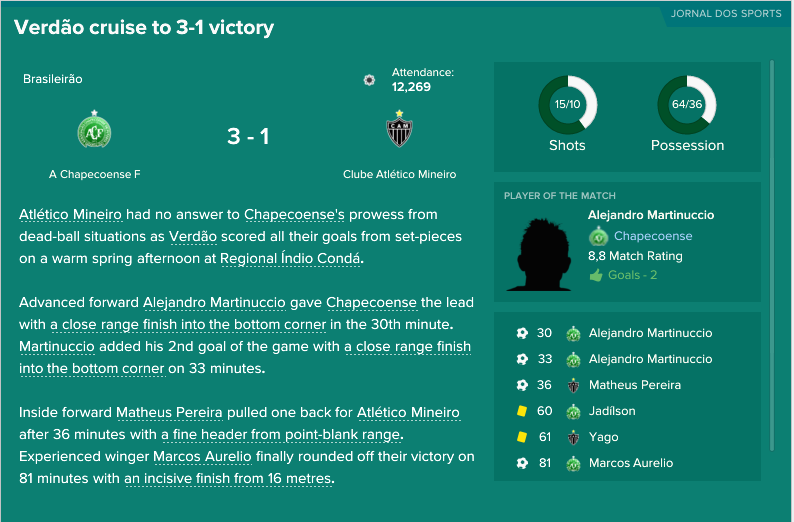 Played the ball around and clinical finishing. Boring game. Neither team managed a single shot on target. 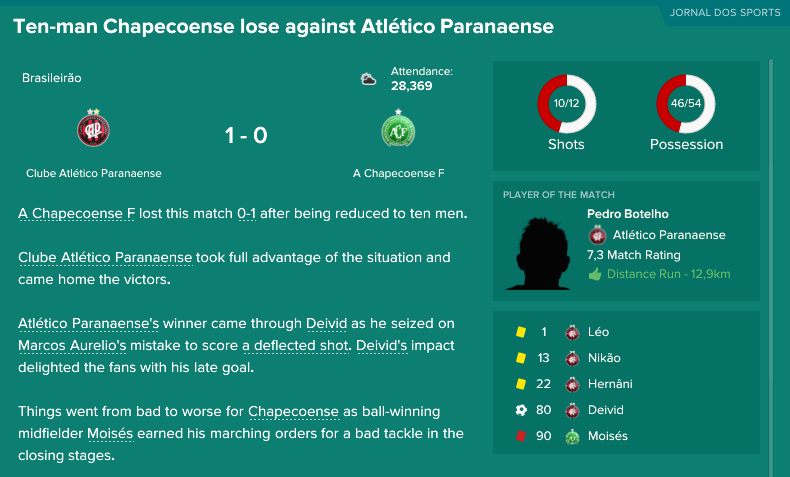 Marcelo Boeck is injured for a couple of weeks and Nivaldo let the first two shots pass him. Great comeback in the second half. Again, one shot on target - one goal. 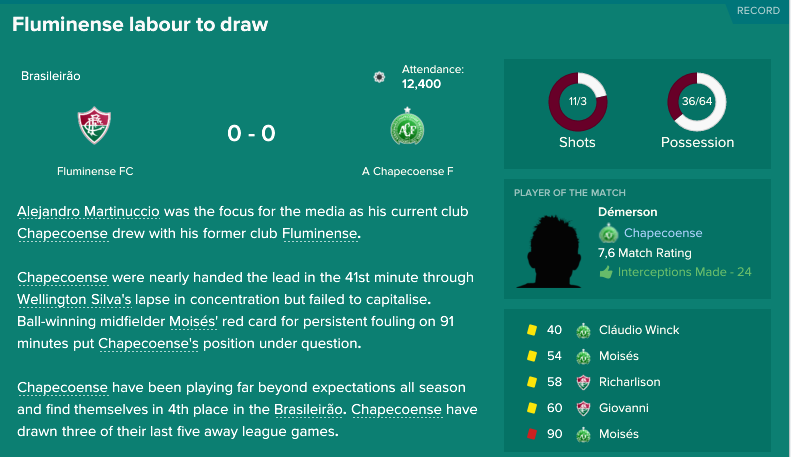 Nivaldo, our 42 year old back up keeper is having a tough time between the sticks. 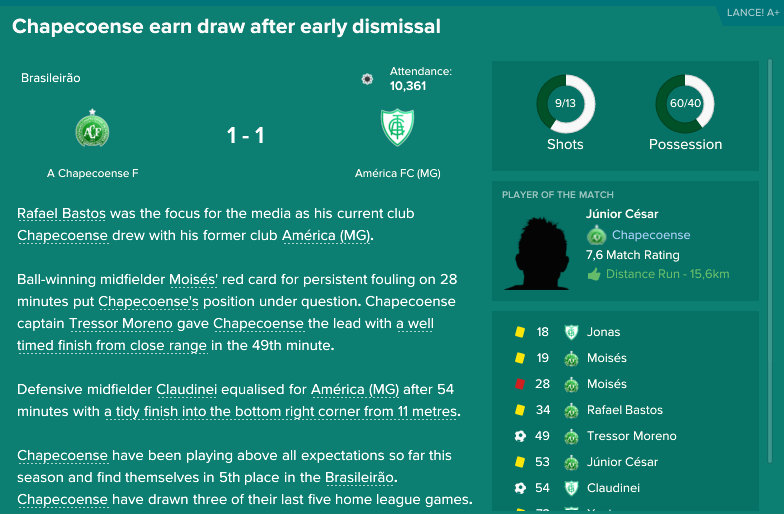 And Moises fot himself sent off for the third match in a row (or every second game for the team...)! Not a bad streak we've been on. 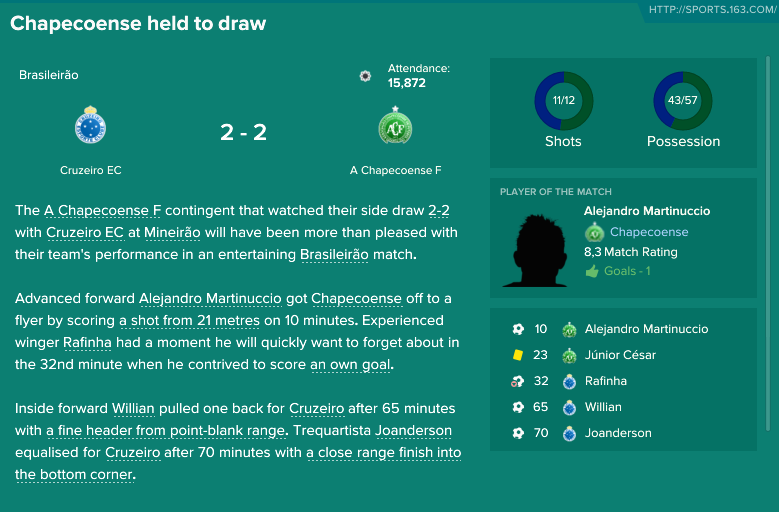 Late goal by Fabinho puts us through to the semis on away goals. 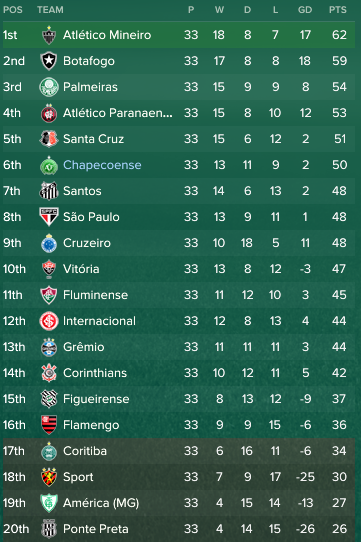 Matched second placed Botafogo. Gutted to concede so late but still happy with a point. 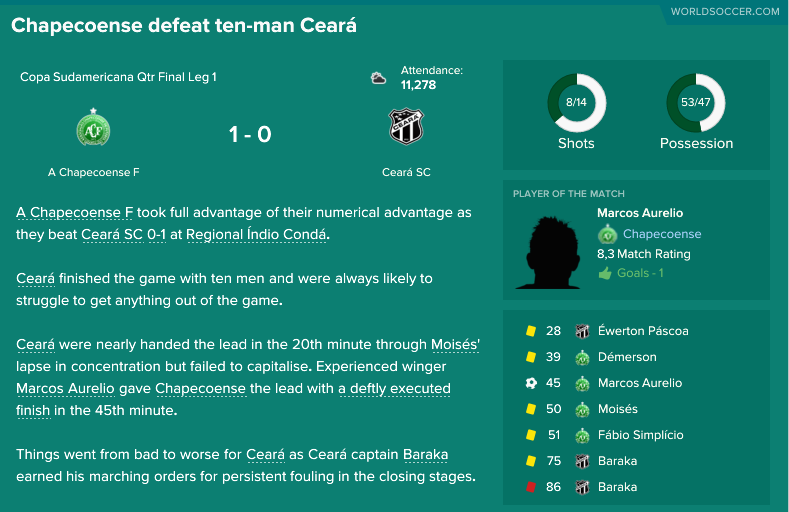 First leg win. Hopefully take this good form into the second leg. Not good enough. 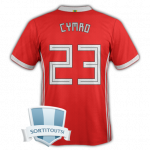 The player's tired and we deserved to lose.